The BBC’s ambitious coverage of the centenary of the Great War reaches a climax with an artwork of a soldier to be displayed in the piazza of Broadcasting House on Friday. 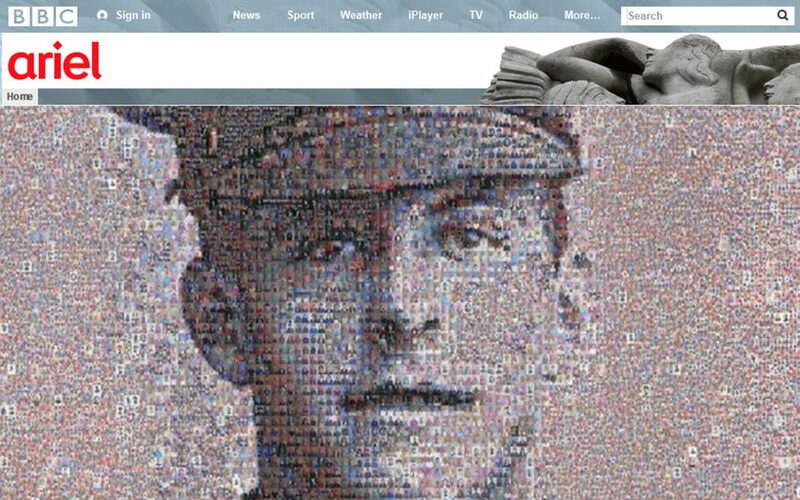 The mosaic is made up of 30,500 individual photographs which together form the picture of Private James Ernest Beaney, from London, who died in the Somme in 1916. Visual artist Helen Marshall chose Beaney for the project because of his connection to the era and for having a face which can exist in the here and now. The commemorative artwork will be available to view digitally, with users able to zoom in and see the individual photos that make up the whole.